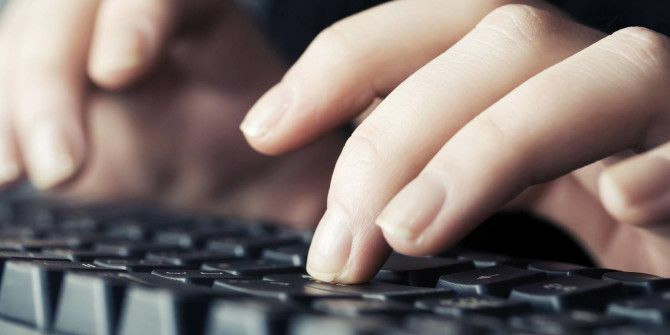 If you want to boost your typing speed by at least 50%, you need to give up QWERTY One Simple Change Can Boost Your Typing Speed by 50% One Simple Change Can Boost Your Typing Speed by 50% Your keyboard could be slowing down your typing speed, so here's a simple change you can make to unlock your true typing speed. Read More . By switching to the Colemak layout, not only will you end up typing faster, but you’ll also reduce the likelihood of developing repetitive stress injuries in your wrists and fingers. The problem with learning Colemak is that most keyboards today — whether at home, at work, or at the public library — all use the QWERTY layout. That’s where Portable Keyboard Layout comes in handy. The program sits in the background, and when you hit both Left Alt and Right Alt at the same time, it immediately changes the layout to some other layout, like Colemak or Dvorak. Just press the Alt keys together again to toggle back to QWERTY. It’s that simple. And because it’s a portable app, you can just keep it on a USB drive Are USB Flash Drives Still Worth It In 2015? Are USB Flash Drives Still Worth It In 2015? USB flash drives are great for storage, but they have so many other uses. Here's how they're worth their weight in gold. Read More and carry it with you wherever you go. The next time you hop on a computer that isn’t your own, just load up Portable Keyboard Layout and instantly enable Colemak no matter where you are. To learn more, check out our introduction to Portable Keyboard Layout Learn A Better Keyboard Layout & Take It Everywhere With You Using Portable Keyboard Layout Learn A Better Keyboard Layout & Take It Everywhere With You Using Portable Keyboard Layout As some of you guys may know, I have been using an alternative keyboard layout for years. It is called Colemak, and it is brilliant. But using such a layout puts me in an awkward... Read More . Does this make you more likely to learn Colemak? Or is it too much of a hassle? Tell us what you think in the comments below! Explore more about: Keyboard, Portable App. One of the many reasons I work from home! Not necessarily. I type at 100 wpm when I'm warmed up, this has been so for decades, and it's always been on a qwerty keyboard.